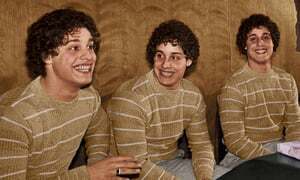 Not since Eddie Murphy signed up for the Twins sequel has a film about triplets made as many headlines as Three Identical Strangers. Tim Wardle’s documentary is another case of ‘the less you know the better’, a notion that also happens to crop up in the movie. It begins in 1980, when Bobby went off to college and was instantly mistaken for a former student who turned out to be his long-lost twin Eddy. This became a major news story, which in turn led third brother David to “come out of the woodwork.” Before you can say Blood Brothers, the cosy family reunion turns into a surprising and critical study of scientific ethics, nature vs nurture and mental illness. The film is well-structured, fast-paced and fascinating, thanks largely to Bobby and David’s charismatic storytelling. Wardle takes an actively compassionate approach to the increasingly sinister and traumatic revelations, some even more traumatic than when the triplets met Madonna. She asked them to appear in Desperately Seeking Susan, another movie hung up on identity that has you wondering what the hell is happening on multiple occasions. Intriguing and revealing, Three Identical Strangers turns from heartwarming to heartbreaking in the blink of six eyes.